In February 2014, New York-based Cameroonian jazz bassist and musician Richard Bona headlined the inaugural Safaricom Jazz Festival. The mega festival was held at the Ngong Race Course in Nairobi and brought out an abundance of music, dance, costume and food. “Every good city has a festival, and it is nice to be the founder of this jazz festival. 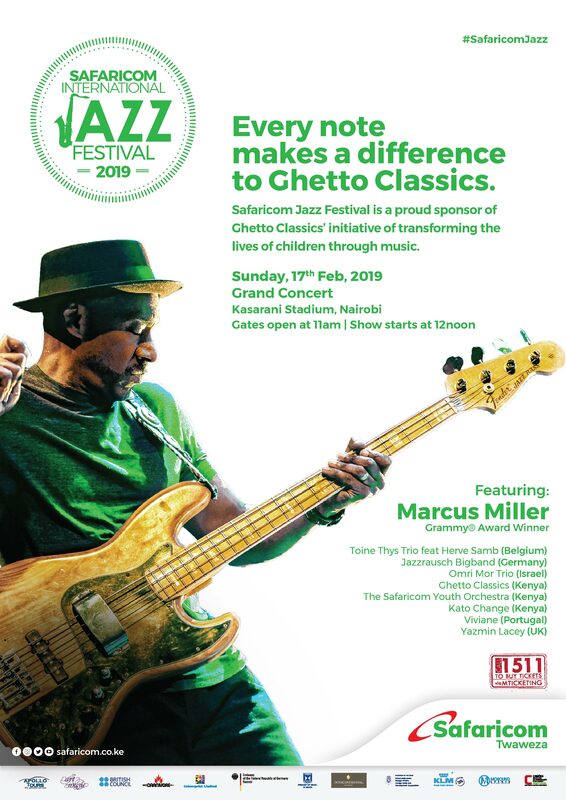 It is time for Nairobi to get onto the jazz circuit and become a place where every jazz artiste wants to come,” Safaricom Chief Executive Officer (CEO) Bob Collymore said. 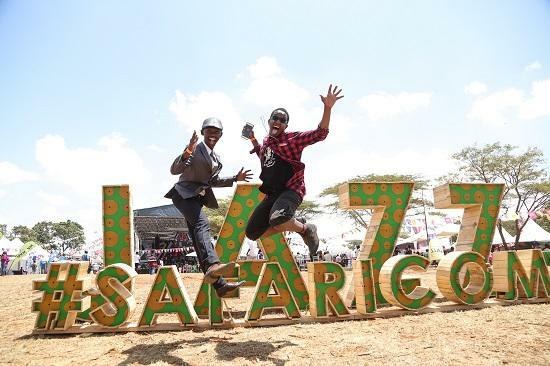 It is now six years since the Safaricom Jazz Festival was first held. Over this period, this festival has evolved into one of Kenya’s premier events. It has constantly brought out performances by top jazz ensembles from around the world. But more interestingly, the Safaricom Jazz Festival has gone beyond music. Currently, all proceeds that are collected from this festival are dedicated towards improving the lives of underprivileged young boys and girls in the society. For example, by 2017, the festival had directly impacted the lives of over 900 young people in Nairobi and Mombasa counties. “Working with Ghetto Classics has really opened our eyes to the power of music,” says Mr. Collymore. In the same breathe, in the 2017 edition, Safaricom handed a cheque worth Sh. 17 million to the Ghetto Classics programme. This was an increase of Sh. 5 million from the Sh. 12 million that Safaricom had given the programme in the 2015 to 2016 jazz edition. The Ghetto Classics is a community programme that uses music education to provide the youth with opportunities and skills to break out of the cycle of poverty that they were born into. The programme is run by the Art of Music Foundation. In the same vein, over the first four years of the jazz festival, the programme benefited from proceeds of up to Sh. 37 million. This assisted the Ghetto Classics to extend its programme from Korogocho, Mukuru kwa Reuben, Huruma, and Dandora areas in Nairobi. Today, the programme has received proceeds worth Sh. 60 million from the Jazz festival. These funds have gone on to benefit over 1,400 children in Nairobi and Mombasa. “We often underestimate the power of music to make a real difference to entire communities, but when you experience the Ghetto Classics performing, and learn the stories behind the smiling faces, you really begin to grasp why we need to keep supporting programmes such as these,” says Elizabeth Njoroge, the founder and director of the Art of Music Foundation. This year, the jazz festival is set to mark a fresh milestone. This is because this year’s event will be the festival’s sixth anniversary. 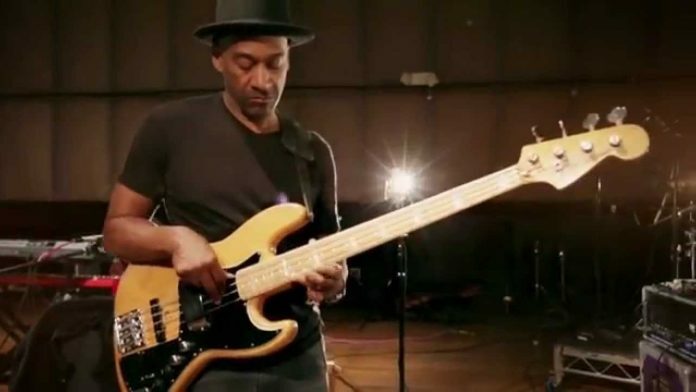 And it will be marked in style, with multiple Grammy Awards winner Marcus Miller set to headline the show. The festival will take place from February 11 to February 17 at the Kasarani Stadium. Miller will be joined on stage by other incredible performing acts such as Toine Thys and Herve Samb, Jazzrausch Big band, Omni Mor Trio, Vivian, and Yazmin Lacey, from Belgium, Germany, Israel, Portugal, and the United Kingdom respectively. “This year’s festival will mark six years since the inception of the Safaricom jazz Festival, and as we promised when we started this journey in February 2014, we continue to bring world class talent,” says Mr. Collymore. He further says that the aim of Safaricom is not only to expose and avail platforms for Kenyan acts, but also to collaborate with their more experienced counterparts from numerous parts of the world. “We also want to showcase our talent to the world,” he says. Kenyan acts during this year’s festival will include Ghetto Classics, the Safaricom Youth orchestra, and Kato Change. Interestingly, Kato Change guitarist Kato Change has played professionally for more than a decade. He has defied the boogeyman of instrumentalists failing to break out successfully as solo artists in Kenya. “I have played many genres, from rock in my teenage days to hip hop but I am essentially an African guitarist that fuses various genres and the most consistent of these has been jazz,” says the self-taught guitarist. His debut album “The Change Experience” was released at the end of 2015 and reflects his diverse influences from acoustic guitar pieces to straight ahead jazz and even a taste of house and dance music. Proceeds from this year’s festival will see the Ghetto Classics school programme extend to Kisumu County. 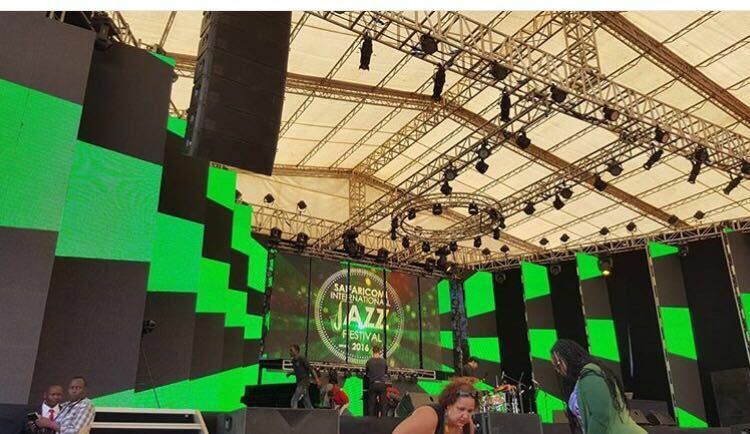 The Safaricom Jazz festival comes with icing on the cake. This is because apart from the main annual event, Safaricom also hosts jazz lounges. “We have extended jazz from the main calendar event to allow jazz enthusiasts enjoy jazz music in an intimate setting,” says Safaricom. Some of the top acts that have graced the Safaricom jazz lounges include Salif keita who thrilled during the 2015 Safaricom Jazz Lounge at the Bomas of Kenya. Last year, five-time Grammey winner American jazz performer Dianne Reeves was the top act at the Safaricom Jazz Lounge which was held at Uhuru Gardens on October 18. “The Safaricom Jazz Lounge is a series of concerts designed to give upcoming and established local talent a platform to showcase their music, while treating jazz fans to a performance by an international act,” says Mr. Collymore.